This is the time of year when nature puts on a beautiful display of brightly colored leaves. 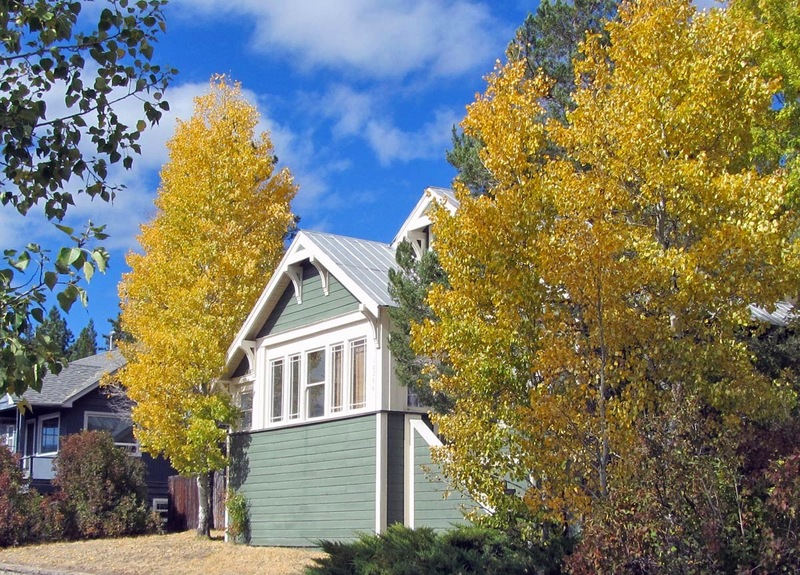 Make time to drive the mountain highways or take a hike among the Aspen groves. The leaves are turning at lake level and in the high country. You have to hurry because the display only lasts a few weeks. 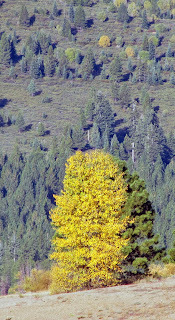 Monitor Pass off Hwy.89 in Alpine County is another place to hike among the Aspen. Hwy. 267 between Northstar ski resort and Brockway Summit has a nice stand of trees just off the highway. The Tahoe Rim Trail from Tahoe Meadows on the Mt. Rose Highway. I hiked the Tahoe Rim Trail out of Tahoe Meadows to Relay Peak. 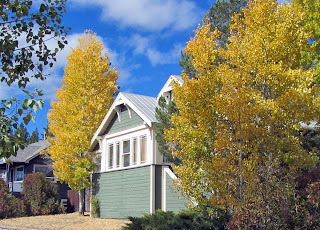 The aspen in this area are small trees that are just beginning to change color. 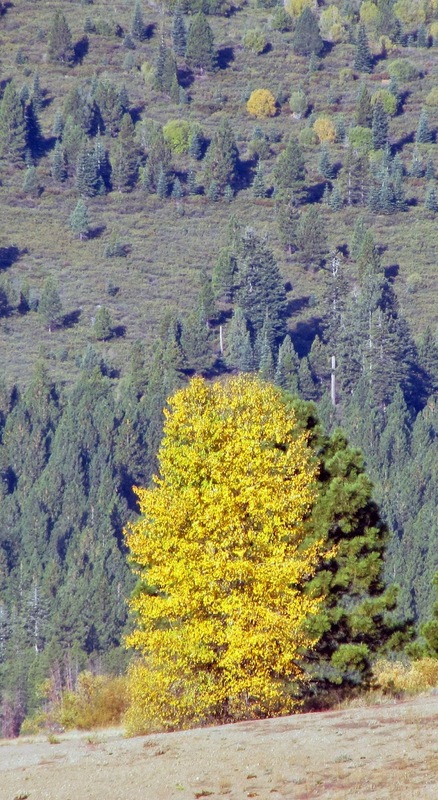 Some trees can be seen from the road, but you really need to get out and hike to find the hidden clumps of trees. 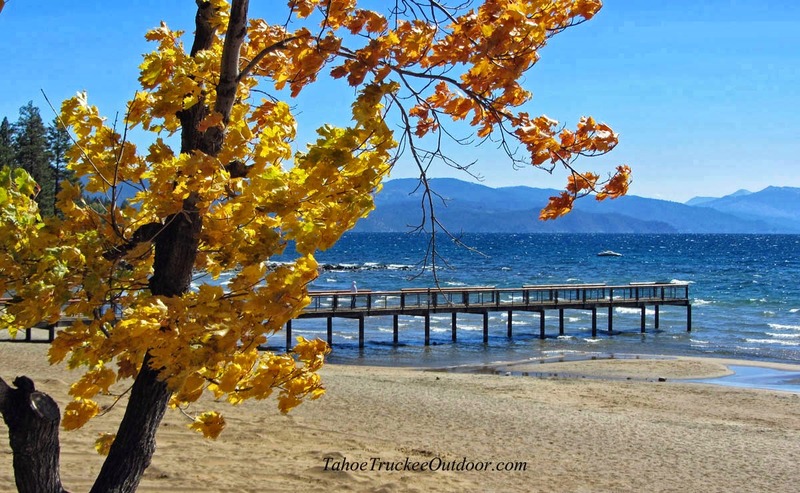 If you don’t feel adventurous, a casual drive around the lake will give you views of colorful trees. Be sure to stop at the public beaches. The beaches are nearly deserted this time of year and provide spectacular views of Lake Tahoe and colorful trees near the shore. I stopped at Kings Beach State Recreation Area and enjoyed the colorful trees right at the sandy beach.